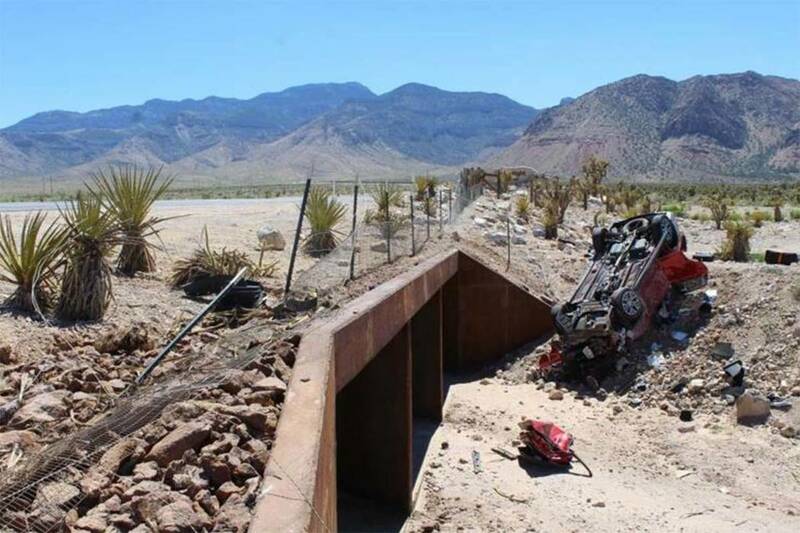 A 34-year-old woman died in a single-vehicle rollover Sunday on Nevada state Route 16o, the Nevada Highway Patrol reported. Nevada Highway Patrol One woman was killed and three other people were injured in a one-vehicle crash on Nevada Highway 160 near Red Rock Canyon, west of Las Vegas, on Sunday, June 11, 2017. 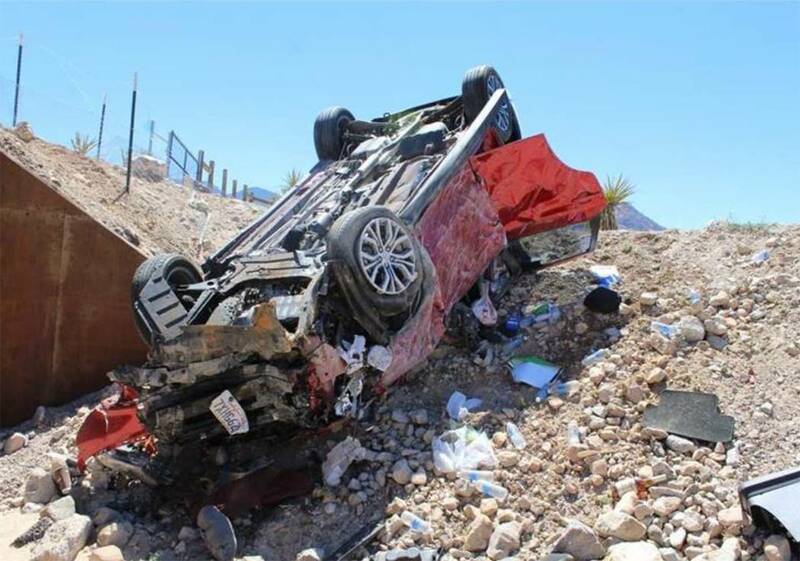 Nevada Highway Patrol The Nevada Highway Patrol is investigating a rollover wreck that killed one woman and injured three other people on Nevada Highway 160 near Red Rock Canyon, west of Las Vegas, on Sunday, June 11, 2017. 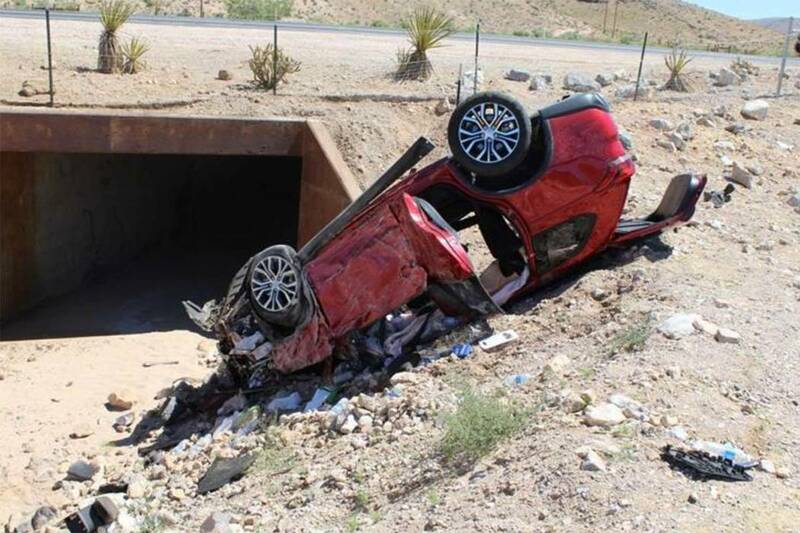 A 34-year-old woman died in a single-vehicle rollover on Nevada Highway 160 between Las Vegas and Pahrump, the Nevada Highway Patrol reported. 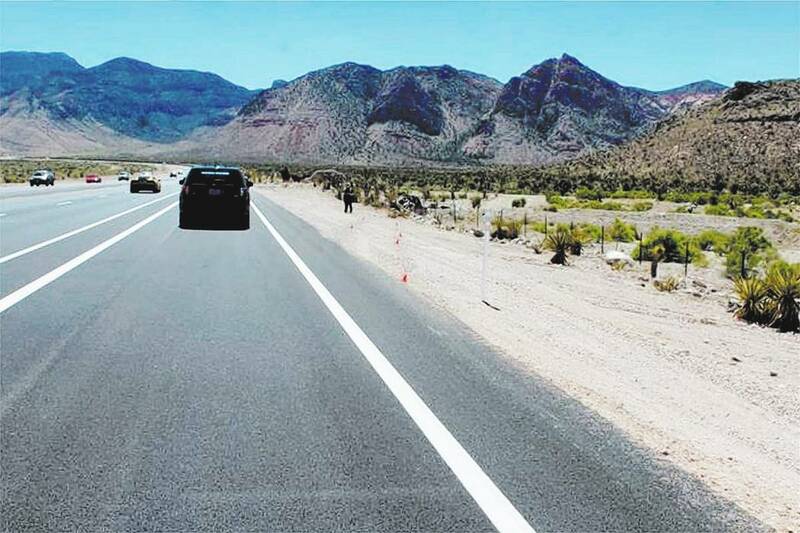 A red 2017 Mitsubishi Outlander with a driver and three passengers was northbound on the highway, a few miles past the turnoff to Red Rock Canyon, about 12:40 p.m. Sunday when it left the roadway for unknown reasons. The vehicle struck a tree and a fence before plunging into a ravine and overturning. The car’s four occupants were transported to University Medical Center with critical and severe injuries. The 34-year-old woman, who was in the right rear seat, died at the hospital. The Clark County coroner will release her identity after notifying family. Speed or impairment are not considered factors in this crash; all passengers were wearing seat belts. This marks the Nevada Highway Patrol southern command’s 28th fatal crash resulting in 30 fatalities for 2017. Contact Dana Rutkin at drutkin@reviewjournal.com or 702-383-0381. Follow @danadrutkin on Twitter.